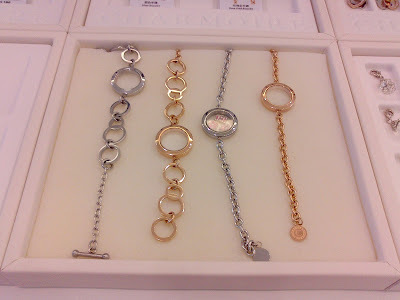 A few years ago bracelets with charms set the trend with so many cute charms to customize your bracelet and represent your true style and personality. 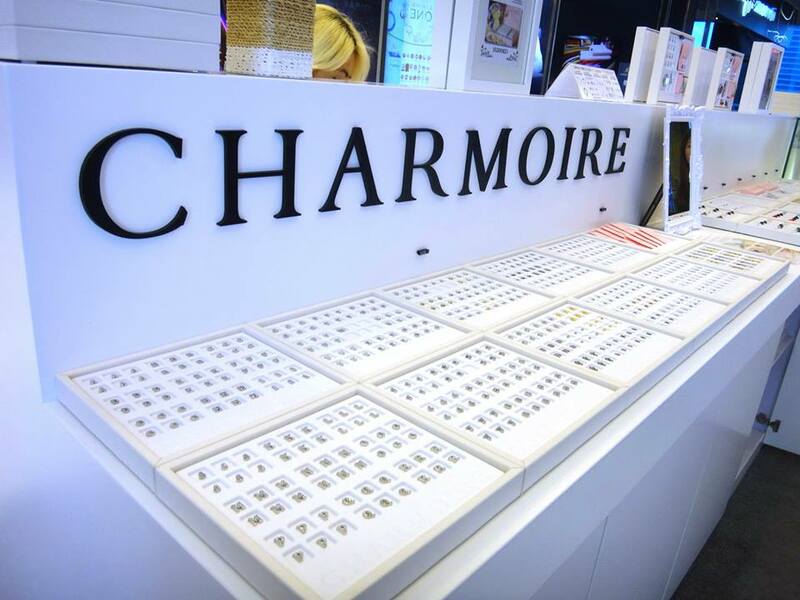 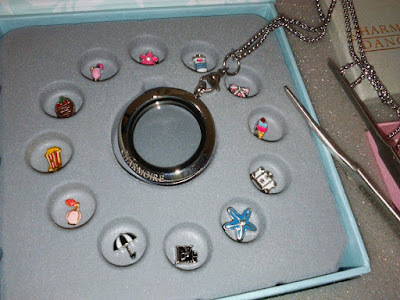 Now they have these glass lockets with floating charms inside that move free freely at Charmoire. 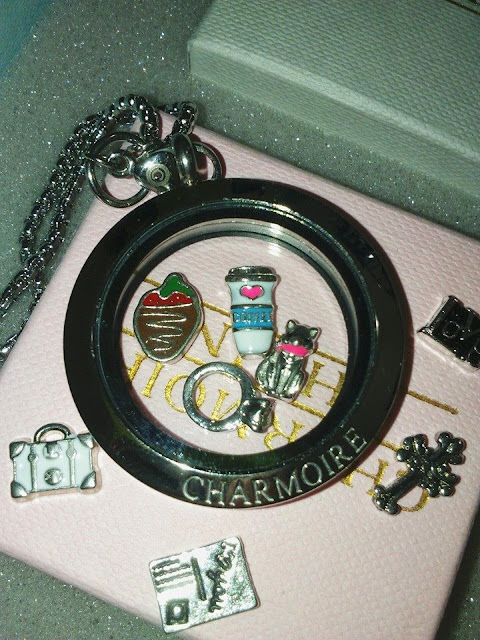 You can put your favourite charms into the locket to express your feelings that day. 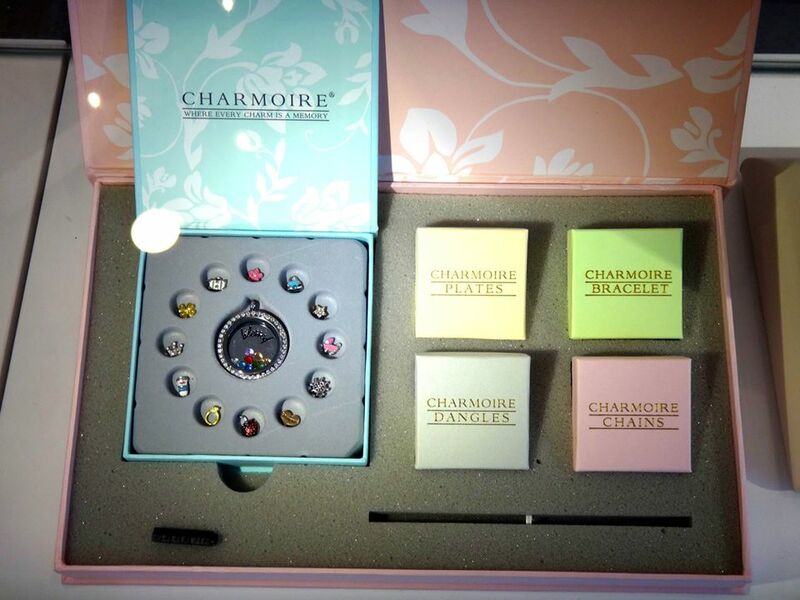 There are so many charms to choose from as well as the lockets, necklaces and even the dangles. 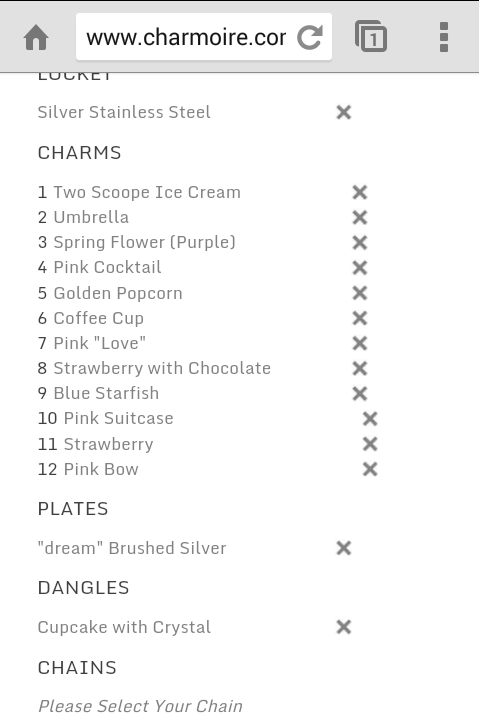 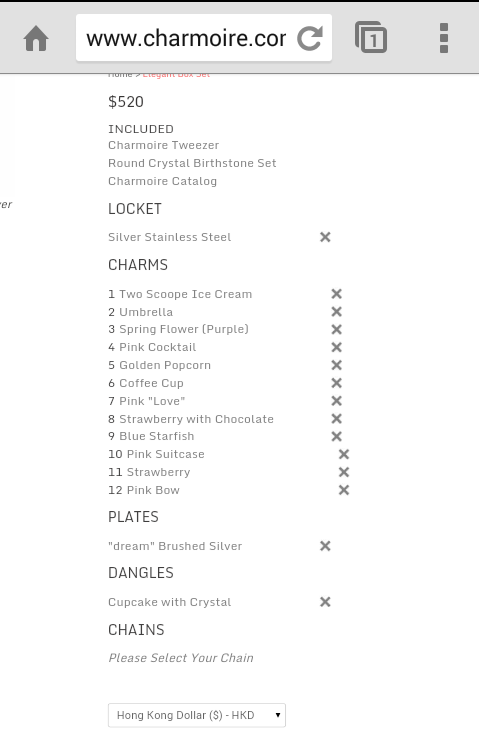 The package that I got for $520 is pretty good with 12 choices of charms including a locket, necklace, plate, birthstone crystals, a dangle and a pair of tweezers. 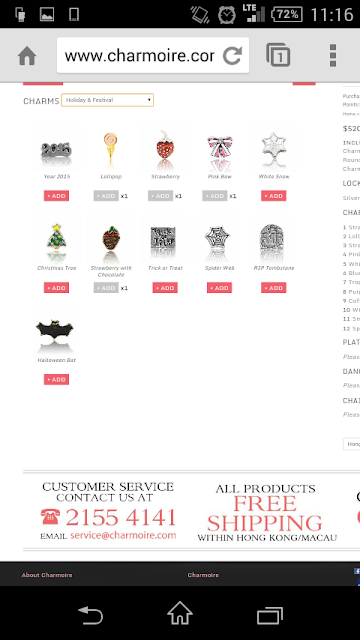 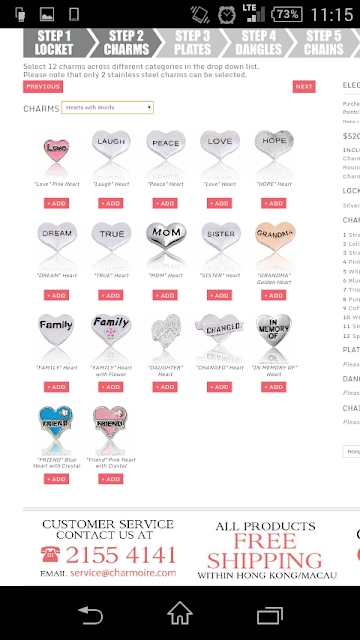 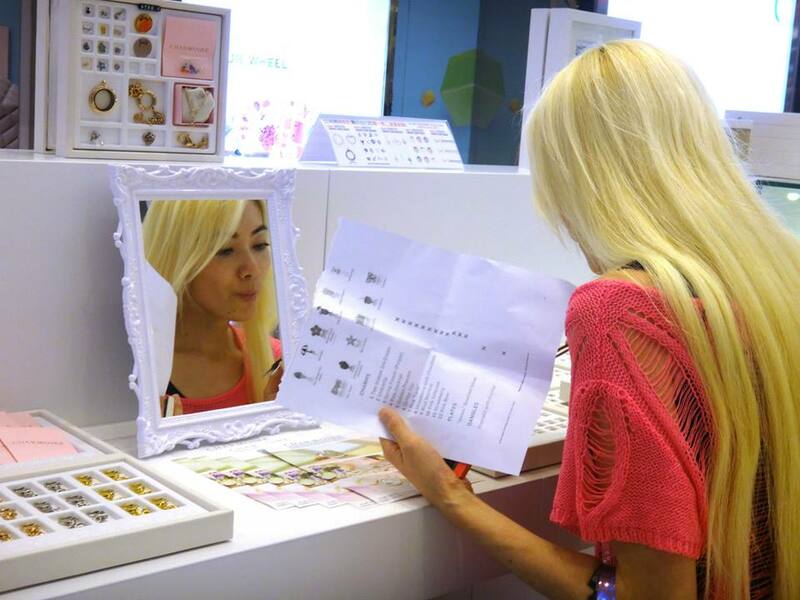 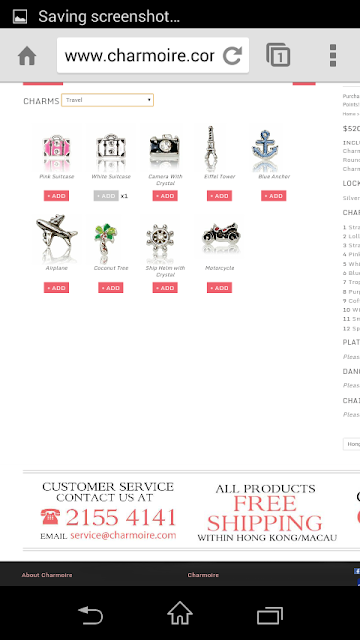 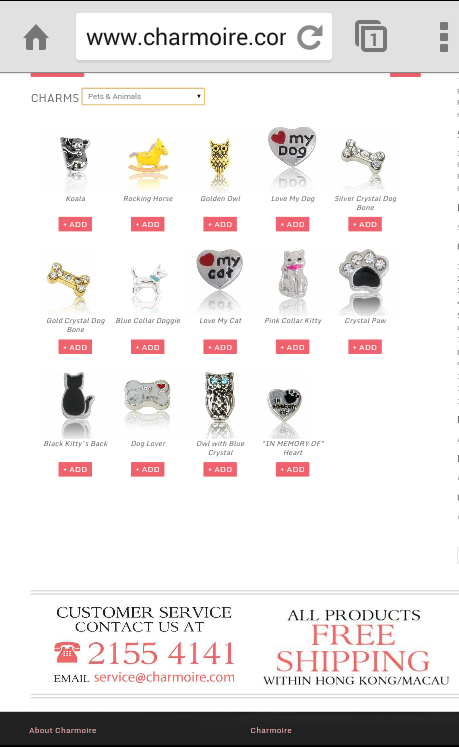 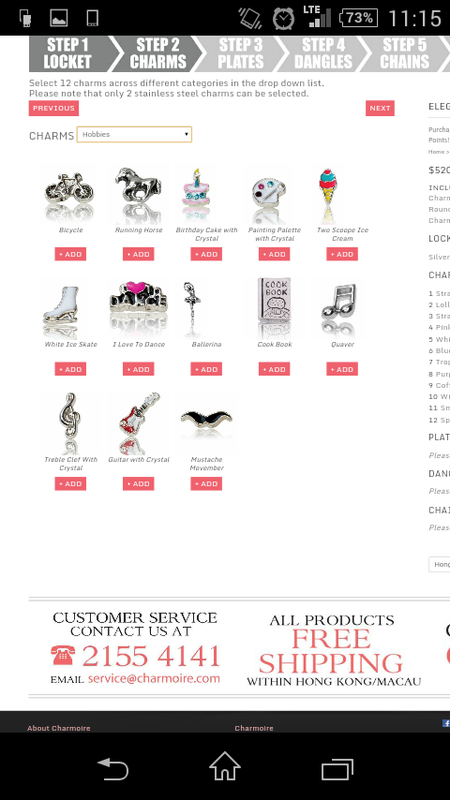 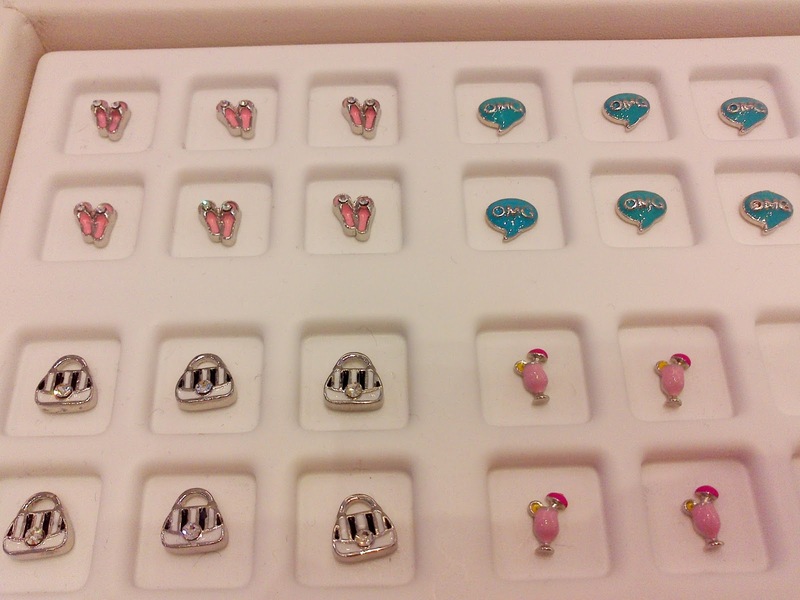 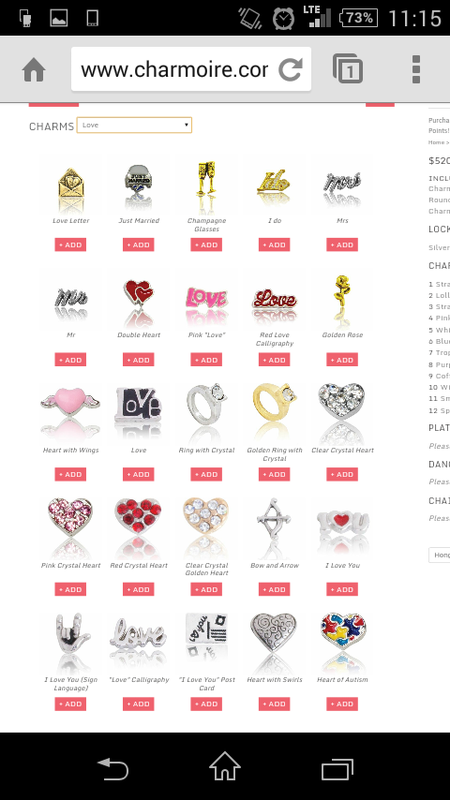 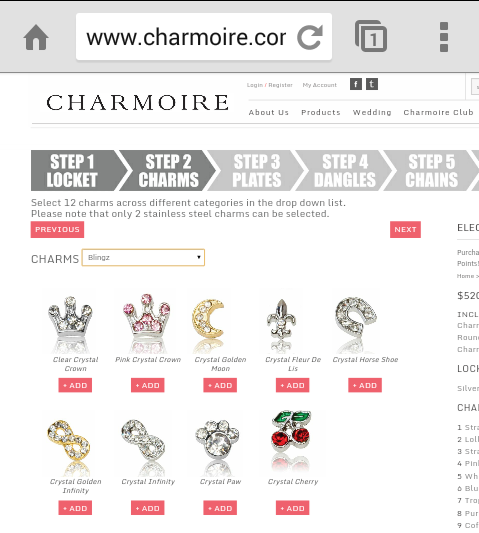 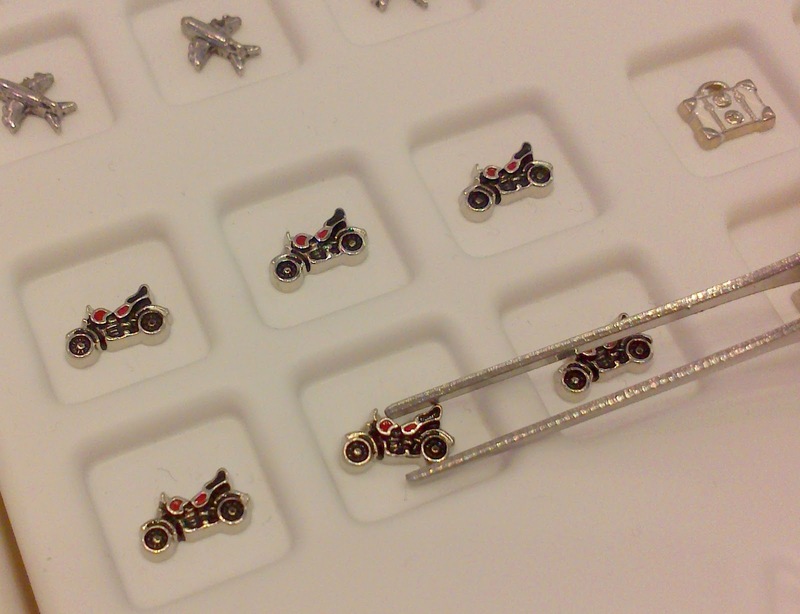 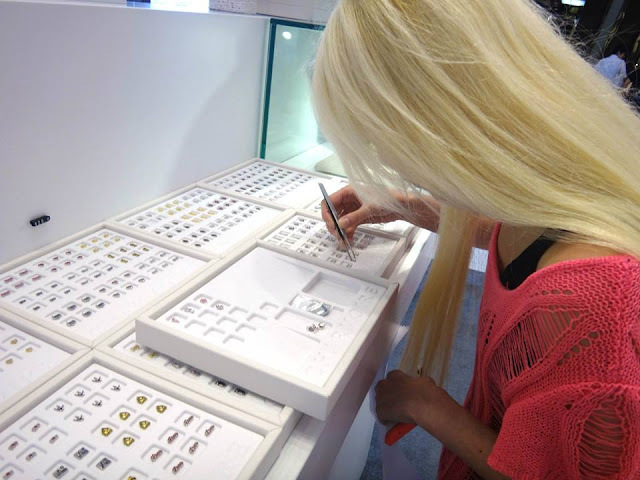 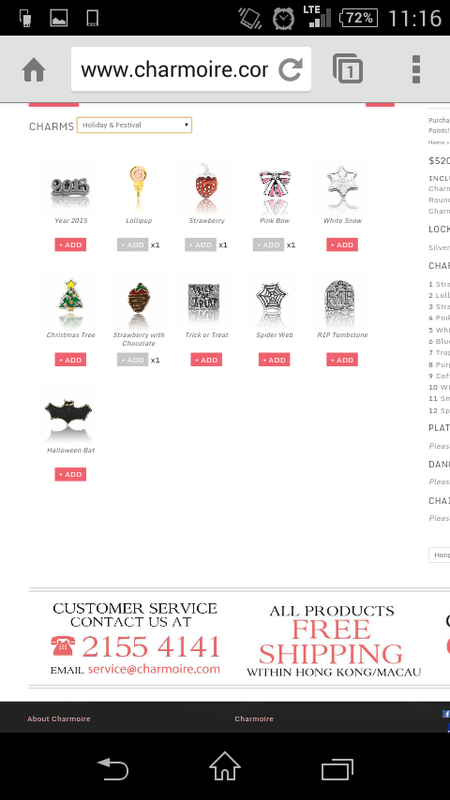 It was so hard deciding which charms to choose so I suggest browsing their online shop before going to the shop. 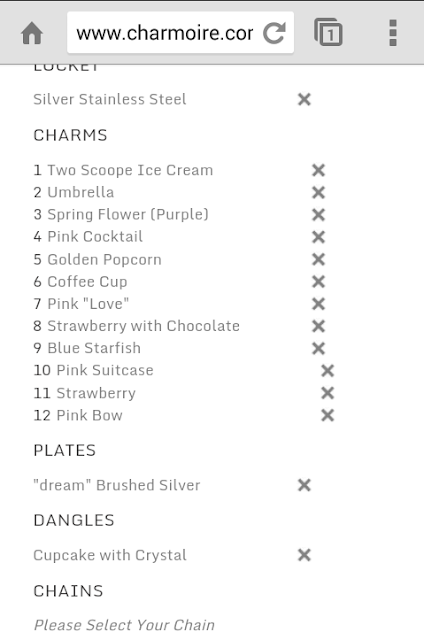 The online ordering system is very user friendly with a list on the right hand side on with your choices and the number of choices you have left. 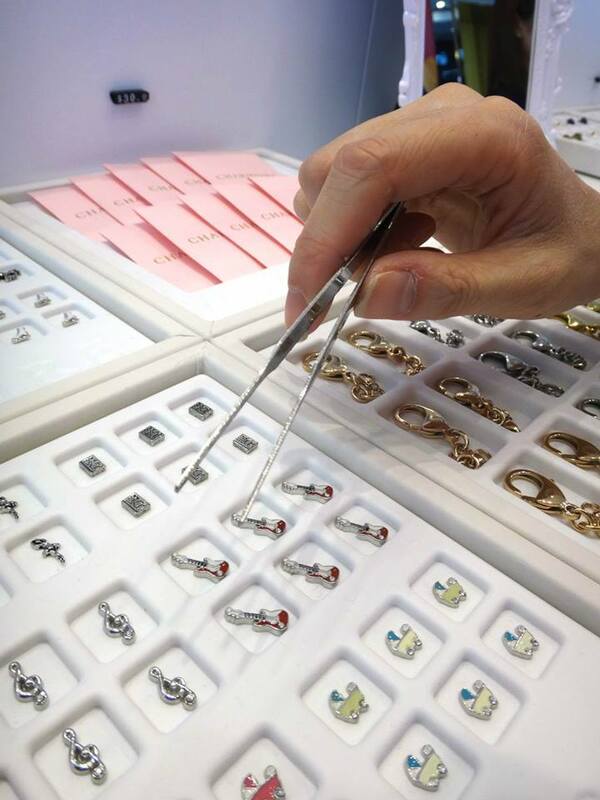 Before they started this shop, they had a stall at the Island east markets so it proves how popular they are to start a shop at The One!